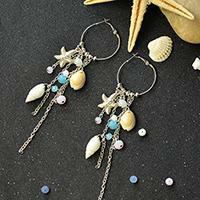 Summary: In this article, you can see a pair of colorful pom pom ball flower stud earrings. 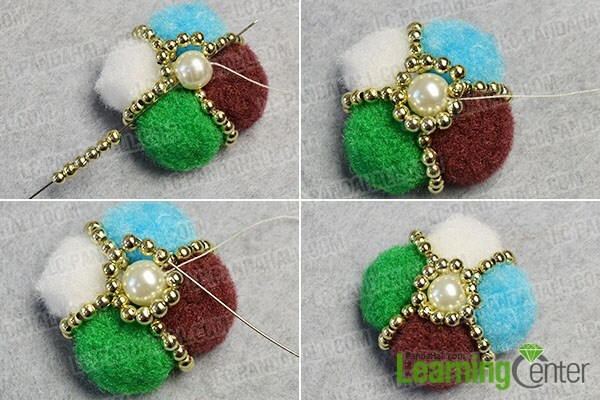 Follow me to see how to make the pom pom stud earrings. Stud earrings are a popular type of earrings. 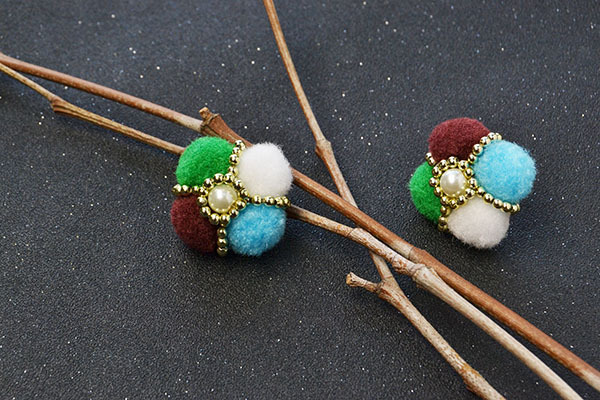 In today's DIY project, I'll share a pair of colorful pom pom ball flower stud earrings with you. 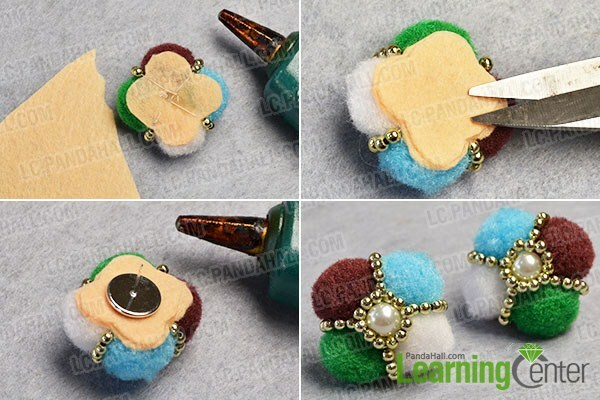 The following simple tutorial will show you how to make the colorful pom pom ball flower stud earrings. 2nd, cut off the four pom pom flower. 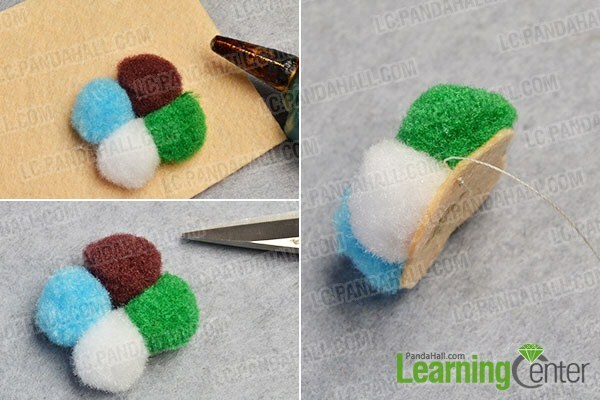 Then, sew a part of wheat sewing thread onto the felt (as shown in the picture). 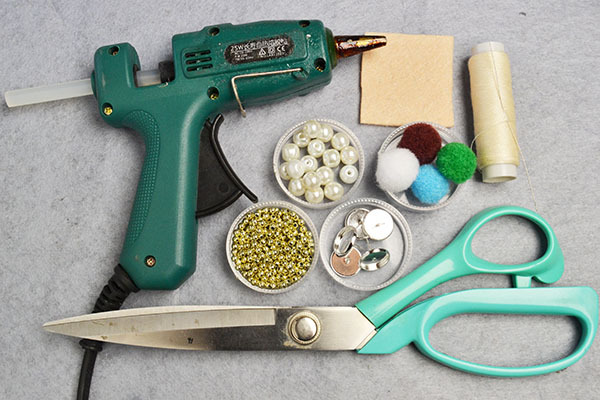 6th, cross the thread through the golden round beads and tighten. Then, cut off the excess threads (as shown in the picture). 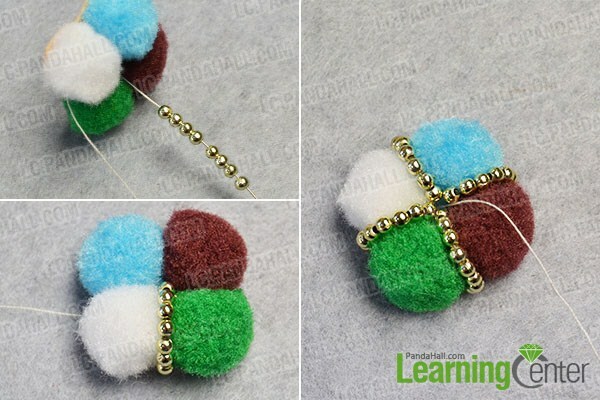 3rd, refer to the above steps to make the other pair of the colorful pom pom ball flower stud earrings. Here is the final look of the colorful pom pom ball flower stud earrings. 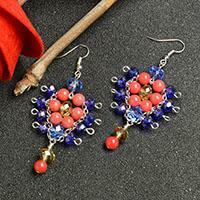 Do you like this pair of colorful pom pom ball flower stud earrings? 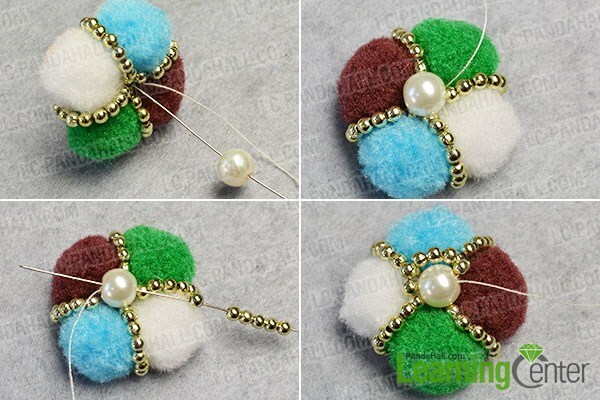 During the making process, you can also use pom pom balls in different colors you like. 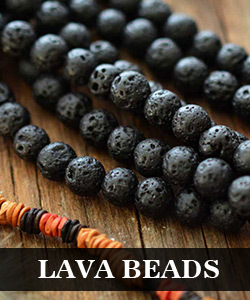 Try to make a pair with the above free tutorial.